The OpenZika researchers are continuing to screen millions of chemical compounds as they look for potential treatments for the Zika virus. 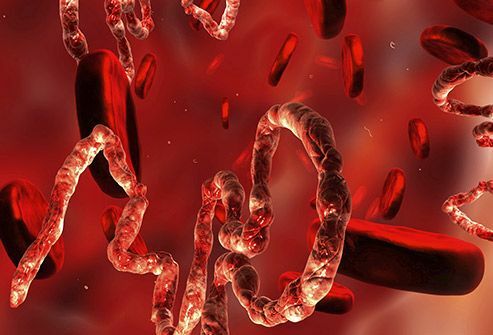 In this update, they report on the second stage of the project, using a newly prepared, massive library of 30.2 million compounds that are being screened against the Zika virus proteins. They also continue to spread the word about the project. The Zika virus has “evolved” from a global health emergency to a long-term threat. Scientists throughout the world continue to study the virus and search for ways to stem its spread, including potential vaccines and means of controlling the mosquito population, as well as looking for treatments. As of this update, there is still no vaccine for the Zika virus, and no cure. We remain convinced that the search for effective treatments is crucial to stemming the tide of the virus. In addition to the OpenZika project, several other labs are doing cell-based screens with drugs already approved by the U.S. Food and Drug Administration (FDA). Still, few to none of the compounds that have been identified thus far are both potent enough against Zika virus and also safe for pregnant women. We are continuing the analysis phase of the project, focusing on the results against the new target structures solved for NS3 helicase, NS5 polymerase, NS2B-NS3 protease, and NS1 glycoprotein. select the NS3 helicase candidates, we have been using distinct approaches for filtering and analyzing the virtual screening results. The first one is target specific, based on molecular docking calculations. 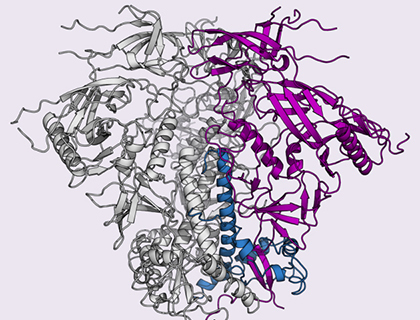 Since there are two crystal derived structures of helicase (with and without RNA-bound) in the PDB (Protein Data Bank, a database that stores and freely distributes atomic-resolution structures of biological macromolecules), we docked approximately 7,600 compounds in a composite library composed of the U.S. Food and Drug Administration-approved drugs, the drugs approved in the European Union, and the U.S. National Institutes of Health clinical collection against both of these structures of NS3 helicase. 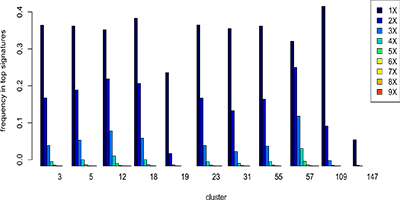 The docking results were then filtered by the estimated binding free energy (the docking score) and by the minimum number of hydrogen bonds that were predicted to form with the helicase target, followed by visual inspection of the predicted binding modes. Subsequently, in a second workflow the candidates passed through developed and validated QSAR models (Quantitative Structure-Activity Relationship), which are based on phenotypic data (cell-based assay results) on the Zika virus available in the PubChem Bioassay Database (AID1224857). After visually inspecting the structures of the compounds to detect medicinal chemistry related liabilities, we selected 9 candidates and ordered them. They are currently being assayed by our collaborator at the University of California, San Diego, in Dr. Jair L. Siqueira-Neto’s lab. 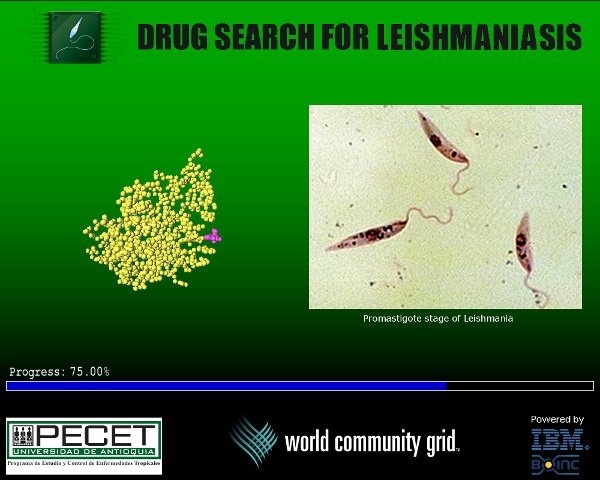 Workflow 1: 232 compounds passed a collection of different energetic and interaction-based docking filters, and their predicted binding modes were visually inspected by Dr. Alexander L. Perryman, to select the candidate compounds that were discussed in our previous project update. These candidates are currently being assayed by Professor Shan-Lu Liu’s lab at The Ohio State University. Workflow 2: These 232 compounds were then scored with the consensus QSAR model (trained with cell-based Zika assay data), and 74 compounds passed this additional filter. 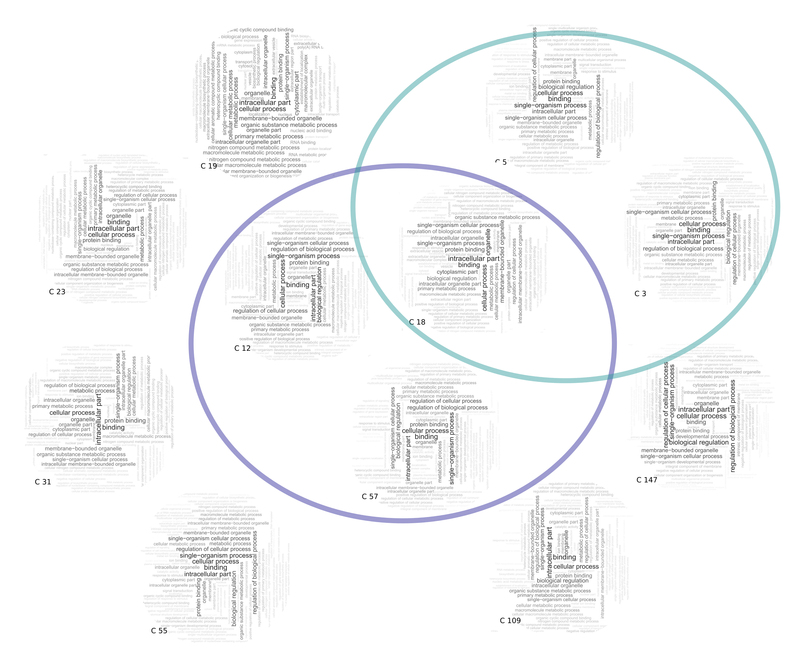 The docked binding modes of these 74 compounds were inspected in detail by Dr. Melina Mottin and Dr. Carolina Horta Andrade. Of the compounds that passed the inspection of their docked modes, 9 passed subsequent medicinal chemistry-based inspection (by Dr. Sean Ekins and Professor Joel Freundlich), were ordered, and are currently being assayed by Dr. Siqueira-Neto. In total, we have submitted 3.5 billion docking jobs, which involved 427 different target sites. Our initial screens used an older library of 6 million commercially available compounds, and our current experiments utilize a newer library of 30.2 million compounds. We have already received approximately 2.6 billion of these results on our server (there is some lag time between when the calculations are performed on your volunteered machines and when we get the results, since all of the results per “package” of approximately 10,000 – 50,000 different docking jobs need to be returned to World Community Grid, re-organized, and then compressed before sending them to our server). 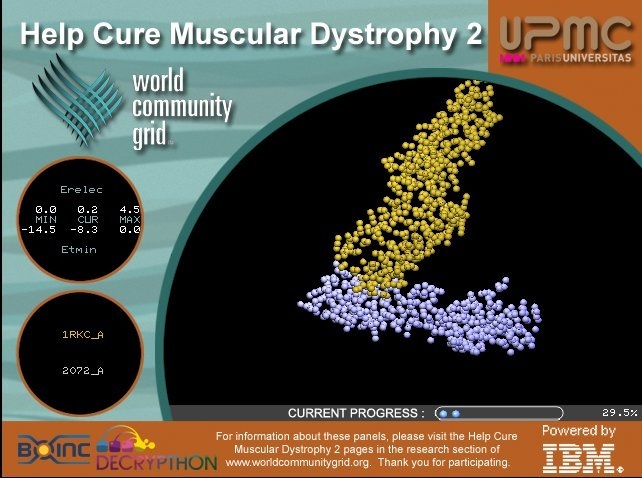 Thus far, the > 80,000 volunteers who have donated their spare computing power to OpenZika have given us > 34,000 CPU years worth of docking calculations, at a current average of 73 CPU years per day! Thank you all very much for your help!! Except for a few stragglers, we have received all of the results for our experiments that involve docking 6 million compounds versus NS1, NS3 helicase (both the RNA binding site and the ATP site), and NS5 (both the RNA polymerase and the methyltransferase domains). We are currently receiving the results from our most recent experiments that screen 30.2 million compounds against the NS2B / NS3 protease. As described above, instead of docking 6 million compounds, we are now screening a new library of 30.2 million compounds against all the ZIKV targets. This new, massive library was originally obtained in a different type of format from the ZINC15 server. It represents almost all of “commercially available chemical space” (that is, almost all of the “small molecule” drug-like and hit-like compounds that can be purchased from reputable chemical vendors). The ZINC15 server provided these files as “multi-molecule mol2” files (that is, up to 100,000 different compounds were contained in each “mol2” formatted file). These files had to be re-formatted (we used the Raccoon program from Dr. Stefano Forli, who is part of the FightAIDS@Home team) by splitting them into individual mol2 files (1 compound per file) and then converting them into the “pdbqt” docking input format. We then ran a quick quality control test to make sure that the software used for the project, AutoDock Vina, could properly use each pdbqt file (a type of docking input file developed by Professor Art Olson’s lab) as an input. Many compounds had to be rejected, because they had types of atoms that cause Vina to crash (such as silicon or boron atoms), and we obviously don’t want to waste the computer time that you donate by submitting calculations that will crash. We then ran a quick quality control test to make sure that the software used for the project, AutoDock Vina, could properly use each pdbqt file (a type of docking input file developed by Professor Art Olson’s lab) as an input. Many compounds had to be rejected, because they had types of atoms that cause Vina to crash (such as silicon or boron atoms), and we obviously don’t want to waste the computer time that you donate by submitting calculations that will crash. By splitting, reformatting, and testing hundreds of thousands of compounds per day, day after day, after approximately 6 months this massive new library of compounds was prepared and ready to be used in our OpenZika calculations. Without the tremendous resources that World Community Grid volunteers provide for this project, we would not even dream of trying to dock over 30 million compounds against many different targets from the Zika virus. Thank you all very much!!! Soon after we started using this new massive library for our virtual screens in OpenZika, Viktors Berstis at IBM/World Community Grid put us in contact with Dr. Akira Nakagawara, the principal investigator of the Smash Childhood Cancer project. To help expand the scope of their experiments that search for new cancer drugs, we gave them a copy of our new library of 30.2 million compounds. 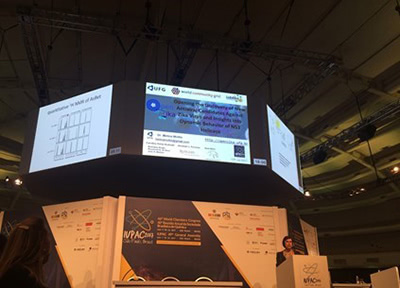 OpenZika project results were presented on July 7-14 at an International Conference, the 46th World Chemistry Congress, in Sao Paulo, Brazil, which had almost 3,000 attendees. Our PLoS Neglected Tropical Diseases paper, “OpenZika: An IBM World Community Grid Project to Accelerate Zika Virus Drug Discovery,” was published on October 20 2016, and it has already been viewed over 4,700 times. Anyone can access and read this paper for free. Another research paper “Illustrating and homology modeling the proteins of the Zika virus” has been formally accepted by F1000Research and viewed > 4,200 times. We have also recently published another research paper entitled Molecular Dynamics simulations of Zika Virus NS3 helicase: Insights into RNA binding site activity in a special issue on Flaviviruses for the journal Biochemical and Biophysical Research Communications. This study of the NS3 helicase system helped us learn more about this promising target for blocking Zika replication. The results will help guide how we analyze the virtual screens that we performed against NS3 helicase, and the Molecular Dynamics simulations generated new conformations of this system that we will use as targets in new virtual screens that we perform as part of OpenZika. These articles are helping to bring additional attention to the project and to encourage the formation of new collaborations. For example, a group from Physics Institute at Sao Carlos, University of Sao Paulo, Brazil, coordinated by Professor Glaucius Oliva, contacted us because of our PLoS Neglected Tropical Diseases paper to discuss a new collaboration to test the selected candidate compounds directly on enzymatic assays with Zika virus proteins. He is the principal investigator for a grant funded by CNPq and FAPESP (Brazilian funding agencies), aiming to clone, express, purify, solve the structure of all the Zika virus proteins, and to develop enzymatic assays to test and identify potential inhibitors. For now, they have already solved a high-resolution (1.9 Å; an Angstrom is a tenth of a nanometer) crystal structure of ZIKV NS5 RNA polymerase (5U04), which has been released on the PDB (Protein Data Bank), and they are working on the determination of new structures of NS3 helicase. We have just started this new collaboration, and the nine selected candidates described earlier in this update are currently being assayed by Prof. Glaucius Oliva and his team to see if they can bind to the NS3 helicase, using the differential scanning fluorescence (DSF) technique and/or if they can inhibit the ATPase activity of this protein. There is additional news at the full article. where LHC@Home was chosen for the swimming discipline. The pentathlon gave us the possibility of carrying out a vast simulation campaign, with lots of new results generated that we are now analysing. 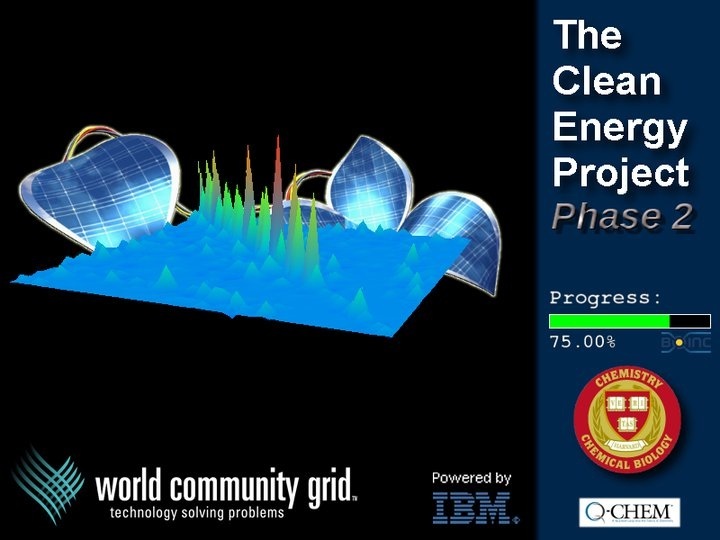 While the LHC experiments send volunteers tasks where data collected by the LHC detectors has to be analysed or Monte Carlo codes for data generation, SixTrack work units probe the dynamics of LHC beams; hence, your computers are running a live model of the LHC in order to explore its potential without actually using real LHC machine time, precious to physics. Your contribution to our analyses is essential. For instance, we reached ~2.5 MWUs processed in total, with a peak slightly above 400kWUs processed at the same time, and >50TFLOPs, during the entire two weeks of the pentathlon. The pentathlon was also the occasion to verify recent improvements to our software infrastructure. 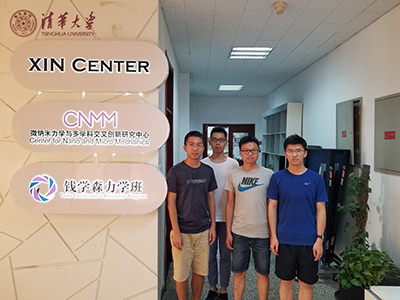 After this valuable experience, we are now concentrating our energies on updating the executables with brand new functionality, extending the range of studies and of supported systems. This implies an even increased dependence on your valuable support. Thanks a lot to all people involved! We count on your help and committment to science and to LHC@home to pursue the new challenges of beam dynamics which lie ahead. 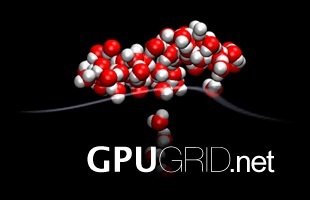 Berkeley Open Infrastructure for Network Computing (BOINC), a large grid that harnesses volunteered power for scientific computing, has been running for 15 years to support research projects in medicine, mathematics, climate change, linguistics and astrophysics. But, despite strong demand by scientists for supercomputers or computer networks that can rapidly analyse high volumes of data, the volunteer run BOINC has struggled to maintain and grow its network of users donating their spare computer power. Of its 4 million-plus registered users, only 6% are active, a number that has been falling since 2014. 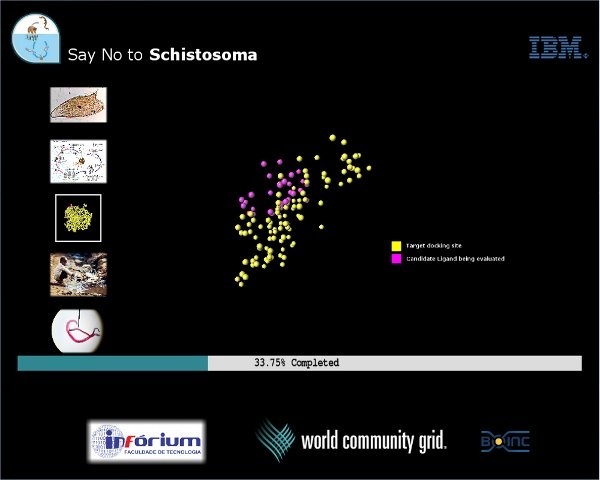 “I’m constantly looking for ways to expose sectors of the general population to BOINC and it’s a struggle,” says David Anderson, a co-founder and computer scientist at the University of California Berkeley. How many people use BOINC? Many more people have registered with BOINC than actually donate their computer power (active users). 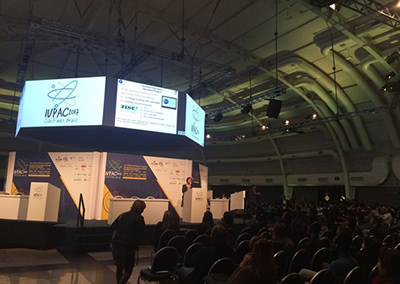 Anderson says BOINC, which is [no longer] funded by the National Science Foundation, currently hosts 56 scientific projects that span an international network of more than 760,000 computers. [current: 24-hour average: 17.367 PetaFLOPS. Active: 267,932 volunteers, 680,893 computers. ]The platform’s combined processing power simulates a supercomputer whose performance is among the world’s top 10. Access to such supercomputers can be expensive and require lengthy waits, so BOINC offers research groups access to processing power at a fraction of the prohibitive cost. 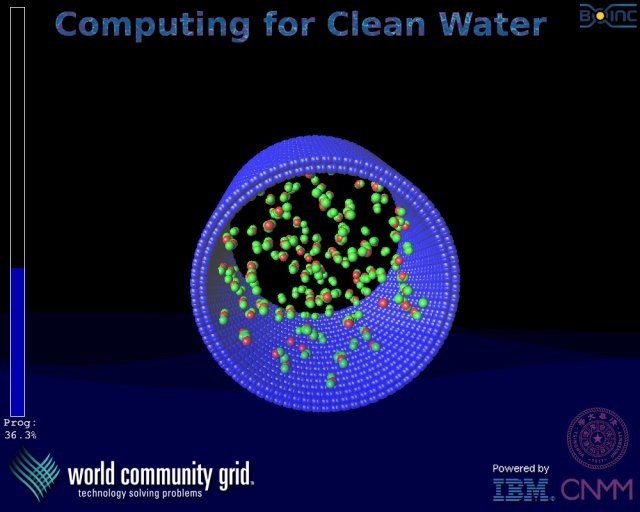 “A typical BOINC project uses a petaflop of computing — which typically costs maybe USD $100,000 a year. If you were to go to buy the same amount of computing power on the Amazon cloud, it would cost around $40 million,” says Anderson. Kevin Vinsen, a scientist at the International Centre for Radio Astronomy Research, Australia, leads a project that analyses photos of galaxies. BOINC’s helps analyse the SkyNet’s huge dataset, which is especially valuable given the project’s shoestring budget. “In BOINC I can have 20,000 people working on it at the same time. Each one is doing a small portion of the galaxy,” he says. 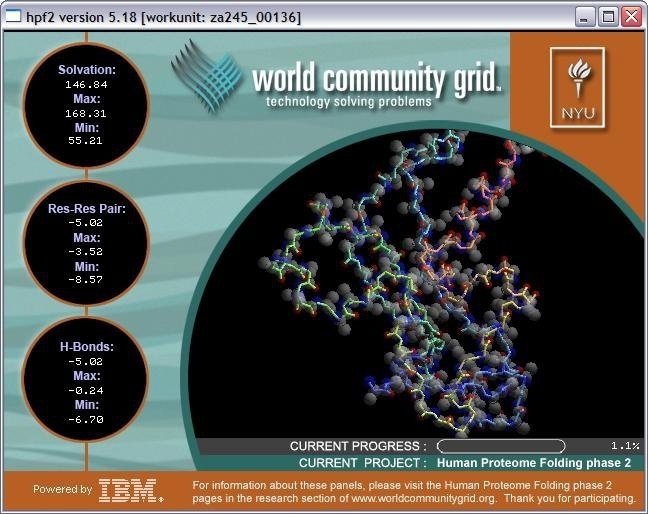 Anderson wants to connect BOINC to major supercomputer facilities in the United States, to reduce the lengthy wait researchers have to process their data. He is working to add the network to the Texas Advanced Computing Center as an additional resource for researchers. 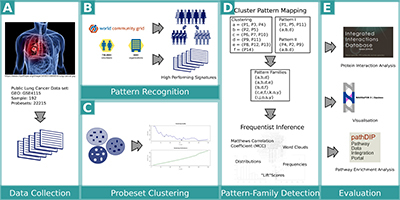 We’re grateful for the volunteers and scientists who worked with us this year to launch two new research efforts, make progress on existing projects, and spread the word about volunteer computing to new audiences. Here are some of the highlights of 2016, which wouldn’t be possible without each of you. Two new research projects, two awards, several conferences…and volunteers around the globe whose support made all of this progress possible. Because of you, 2016 was a great year for World Community Grid! Below are a few of this year’s highlights. Tuberculosis is one of the world’s deadliest disease, killing approximately 1.5 million people every year. In March, researchers at The University of Nottingham launched Help Stop TB on World Community Grid to study the molecular structure of the bacterium that causes tuberculosis, so that scientists can learn how to overcome it. Thanks to votes from volunteers and supporters, an influential audience at South by Southwest (SXSW) learned how World Community Grid volunteers have supported humanitarian research projects since 2004, and heard how these volunteers helped scientists make a breakthrough that could bring clean water to millions. Listen to audio of our full presentation, which was given in March, or read about our experience. The Zika virus began spreading rapidly through the Americas in 2015. In 2016, it continued moving north and was also reported in Asia. There is no effective treatment for Zika, no vaccine, and the virus as been linked to serious complications, including lifelong brain-related issues for infants whose mothers contract Zika while pregnant. 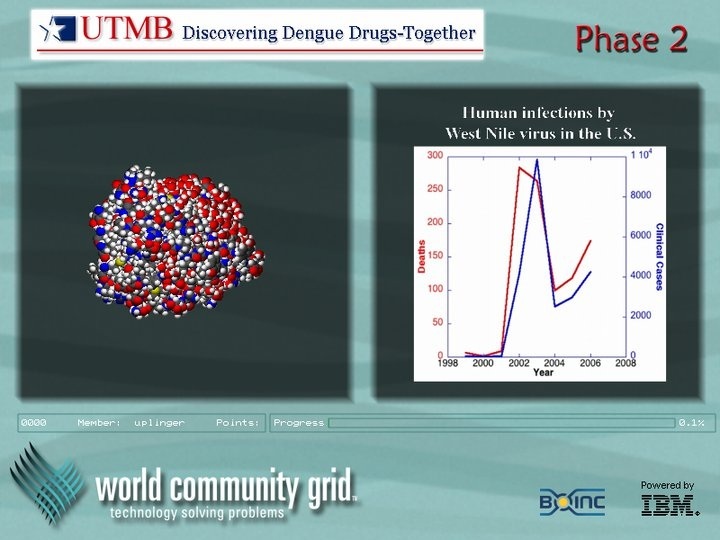 In response to volunteer requests, we looked for a project to fight the virus, and in May, an international team of researchers launched the OpenZika project on World Community Grid to search through millions of chemical compounds for those that may become treatments. 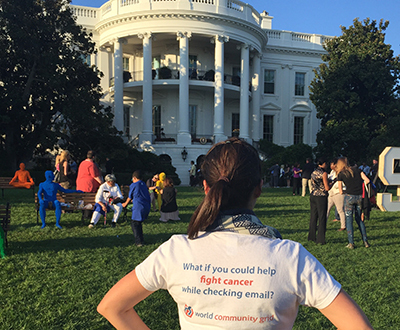 Program manager Juan Hindo was invited to attend South by South Lawn 2016 at the White House in October. This first-time event brought together leaders in art, technology, innovation, and social change who are helping to improve the world. Read about Juan’s experience and how it inspired us to re-ssue our call for research projects that address climate change. We appreciate awards because they recognize and raise awareness for the important work made possible by World Community Grid volunteers. Thanks to votes from volunteers and supporters, we were honored to receive a People’s Voice Webby Award in the Corporate and Social Responsiblity category. This award recognized our new online experience to help people learn about and join World Community Grid, which helped improve our sign-up rate. The Webby statuette traveled around the U.S. this summer and fall to spend time with each team member, as shown in the video below. We also received a D&AD Wood Pencil Impact Award, which was created by the advertising industry to recognize programs that have a societal impact that helps change the status quo. Twelve years, 27 projects, and (as of November) 3 billion research results later, we are very grateful to the volunteers all over the world who are supporting basic science by donating unused computing time. Thanks for making 2016 a year of new beginnings and continued progress. Stay tuned for exciting news in early 2017!